Built in 1773 and with its own neighbouring mountain chapel, the Einsiedelei is a true insider’s tip for all food and mountain lovers. Enjoy mouth-watering delicacies whilst marvelling at the breathtaking views of the Wilder Kaiser region and the town of Kitzbühel from the 150 m2 wooden terrace. Children will absolutely love running around in the large wooden play area. Peak season: Open all day. Hot food from 10.00 a.m.–9.00 p.m.
ot food from 10.00 a.m.–9.00 p.m.
Music played through indoor and outdoor speakers. Live music for special events or on request. 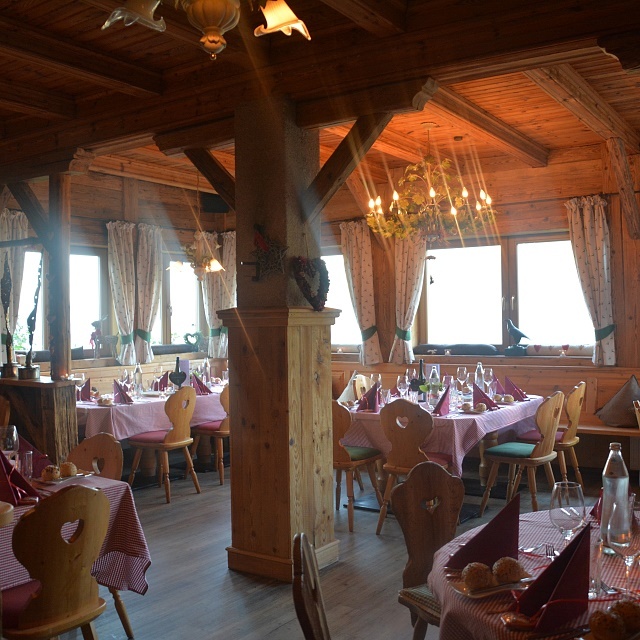 Two cosy and welcoming traditional Tirolean dining parlours can accommodate around 90 guests, making them ideal for holding exclusive events, such as corporate events, birthday parties, or weddings with a short blessing in the neighbouring mountain chapel. “The Einsiedelei has been a place for people to rest and regain their strength for more than 240 years. Our aim is to continue this tradition with today’s guests,” says landlord and chef Günther Winklmair. 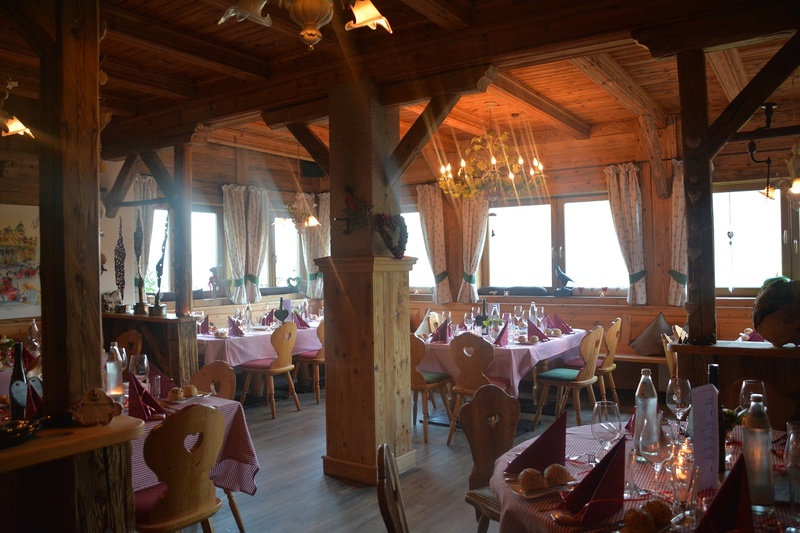 He places particular emphasis on creating authentic and exquisite Tirolean cuisine. Memorabilia and photos from the US ski team, who have been visiting the establishment time and again for years, speak volumes.